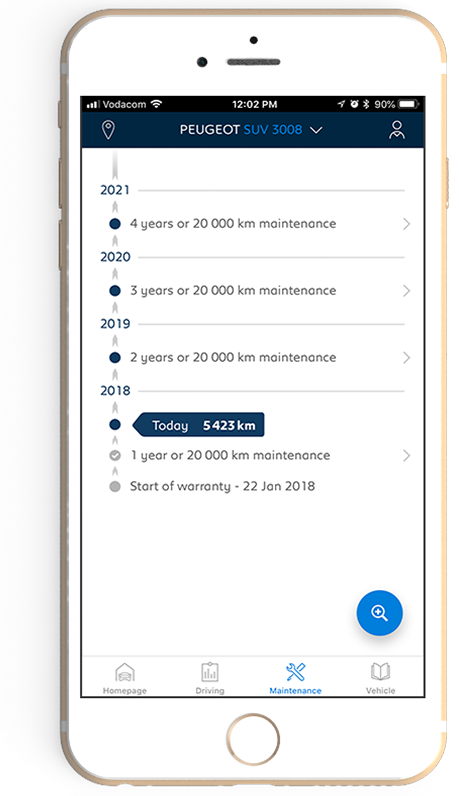 EXTEND YOUR PEUGEOT DRIVING EXPERIENCE TO YOUR SMARTPHONE BY DOWNLOADING OUR NEW MYPEUGEOT APP, WHICH DELIVERS ALL THE INFORMATION YOU NEED ABOUT YOUR PEUGEOT VEHICLE DIRECTLY TO THE PALM OF YOUR HAND. 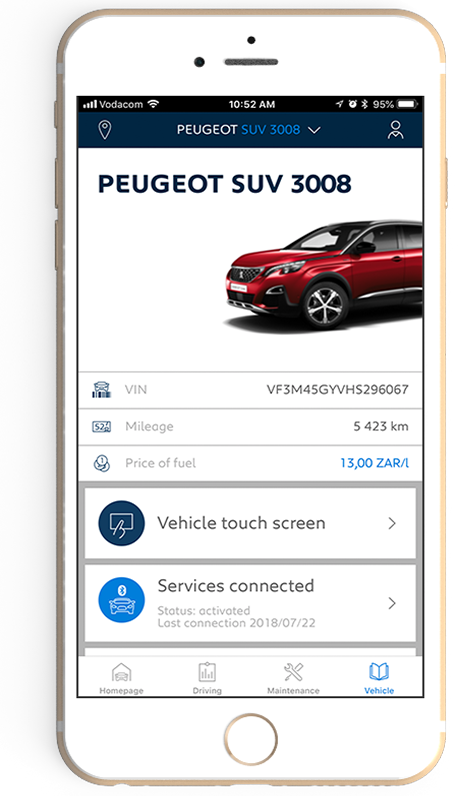 From the homepage of your MYPEUGEOT app you will find essential data about your car such as fuel level, average consumption and mileage. In case of any technical issues with your car, an alert will be displayed on the homepage. You can also easily search and contact a local Peugeot Dealer or workshop and also reach our Customer Care team. You can call them, make an appointment or ask for a quote at your preferred dealership. You can also find the location, opening times and services available at our Peugeot Dealers. In the maintenance section, you can see any service, MOT or maintenance appointments that have already taken place, as well as informing you of any future maintenance required and any repairs needed following an alert from you car. You can contact a Peugeot Dealer to carry out your maintenance or repair and even book an appointment online. 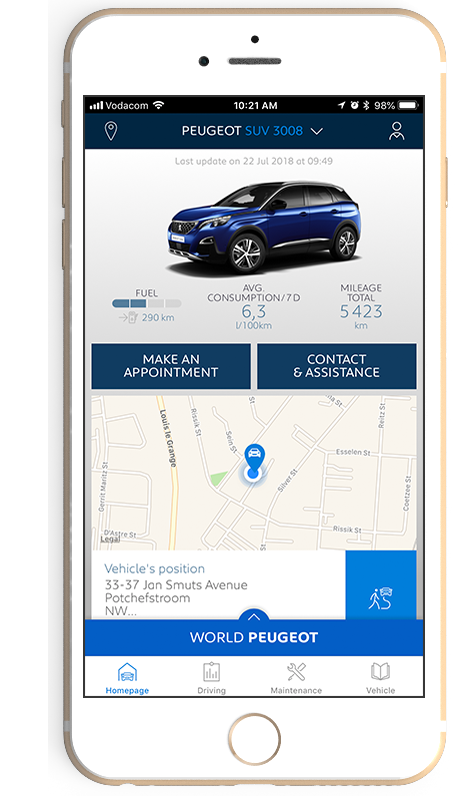 Once once it has been done, you can enter it in to the app and keep an electronic service history for your vehicle. Stay connected to your car whenever you want, wherever you want. You’ll find all the details about your journeys in one click. You’ll have access to your dashboard and can use time filters to display your journeys. You will find information on the duration of your journey, the distance you travelled, your average speed, your fuel consumption and the cost of your different journeys. 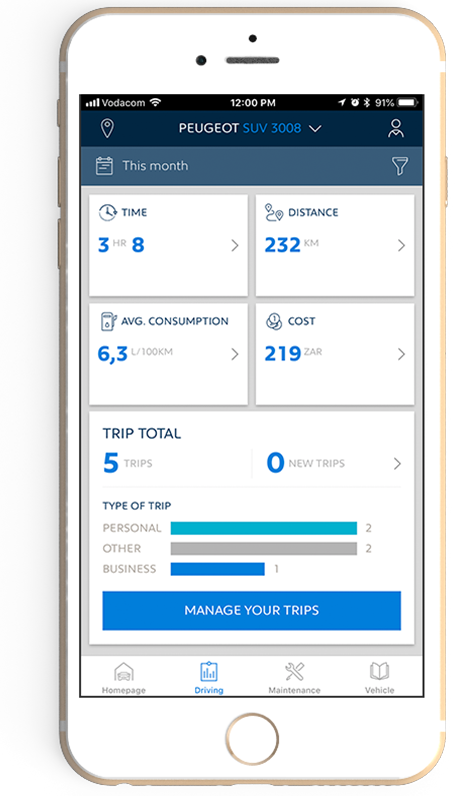 You can also create categories to choose your type of journey, for example to distinguish whether you were on a business or a leisure trip, in order to optimise your driving. In the car section, you can see the VIN number and the mileage of your car. You can type in or modify the price of fuel in your area. You also have access to all your connected services as long as you have a connected car. If you received an alert on your car and you’re not sure what it corresponds to, this is where you can also find all the information you need about warning lights. You can discover when the issue has been detected, some details about it and how to solve it. Simply click on the related symbol you’re shown to find an explanation and what to do about it. 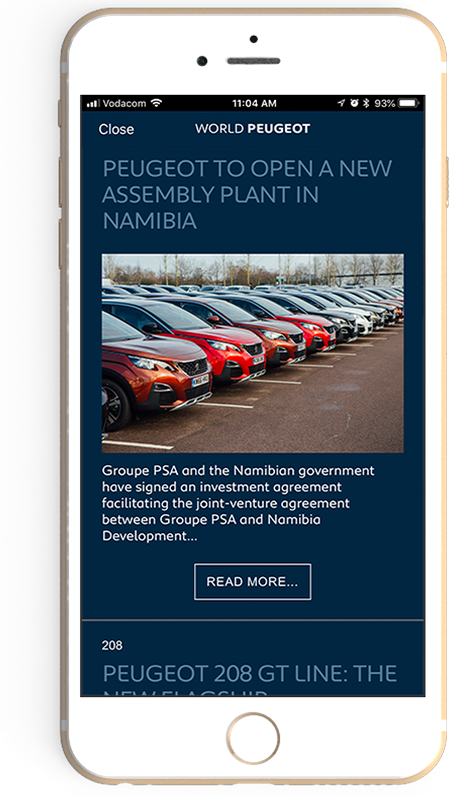 The MYPEUGEOT app also gives you the latest Peugeot news, aftersales offers, events and competitions, making sure you’re up-to-date on all things Peugeot and offering you the chance to win exclusive prizes for MYPEUGEOT members. 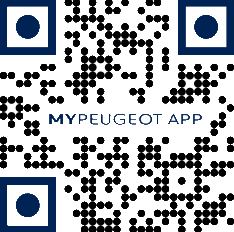 Download your MY PEUGEOT personal space directly on your iOS or Android smartphone, thanks to the free application MYPEUGEOT APP.